Welcome to Champion Reading where excellence becomes a reality! 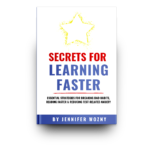 Fast track to success through guaranteed increased reading speed, improved comprehension and retention, and remove the dread of reading! Our experienced instructors customize our proven techniques to fit each individual’s reading needs, and employ appropriate methods of instructions that align with all learning styles. By anticipating the unique learning needs of each student, we are able to tailor our proprietary approach and successfully guide students to their goals, regardless of their starting point or possible obstacles. Our instruction reaches further than primary tutoring and equips individuals with the tools necessary to increase their potential for successes. Students are able to remove fear and dread and replace it with a love for reading. We offer many proven courses to help you lay the groundwork for success! Achieve reading speeds of 5,000 - 10,000+ words per minute. Learn to craft an exceptional essay for your college application. The online text moves so fast that you can hardly see it, yet you're able to read, understand it and explain it in detail. We live in a fast-paced, technology-driven world. So much to read in so little time. Champion Reading can help! We’ve been empowering students and professionals for over 30 years! We have small class sizes and one-on-one sessions, and custom-tailor sessions to meet each student's needs. We’ve taught thousands of students, including the children of former students, as well as corporate and government professionals. We have two locations currently, as well as sessions at universities and primary schools. More locations coming soon! Do I have to take all or any of the tests? No. Just doing the drills and Mind Maps will make you a better reader. Naturally, taking the tests will give you a better measure of your progress. Do you see all the words? Yes. With Champion Reading there is no skimming, scanning or key word reading. When you master this new skill you will read all the words. At what age is it appropriate for me to give this course to my children? Children can be introduced to the skills by the time they are six years old. The tests contained in this course are suitable for students and adults who are reading at a 6th-grade level and above. How can you appreciate fine literature so fast? You get the author’s style so much easier because it flows. The words have more beauty because you read them in context with one another instead of trying to memorize them one at a time, and from left to right. In fact, it will enhance the pleasure. The way you are currently reading, one word at a time, is slow and boring, plus it takes too long to get the meaning or the picture. Things can seem out of context. Champion Readers see whole groups of words, concepts, and the images come together. My teacher said it is impossible to read faster than 800 wpm. What’s your position? There have been people who can read over 1000 wpm for years. President Kennedy was one of these “naturally fast readers.” We have studied naturally fast readers and through many years of development, have incorporated their techniques into this course. I had a friend who took a reading course and they’re still reading the old way. Why? My suggestion to your friend would be to take our course, discover the changes he sees from using our unique method, and then spend more time developing the skill. Can this help with math or chemistry textbooks, technical reading and study? Yes. Even though math and chemistry are technical materials, a large percentage of these materials are in paragraph-oriented form, which is quite adaptable to the Champion Reading method. Many of our graduates are students and professionals. In all reading, especially technical, we are trying to put the words together to form an idea. By reading one word at a time, especially in difficult terminology, we become sidetracked. When we see whole groups of words, we see the concept, and the ideas become evident immediately. You will be able to get through technical reading more rapidly, with excellent comprehension and retention. Students will see improvements in grade point averages. Business professionals will be able to accomplish reading their memos, trade journals, etc., more efficiently. Do I always use my hand? Yes. You always use your hand as a pacer, that is what forces your eyes to be attracted to the print on the page and stay focused. Doing so helps your concentration which gives you better comprehension. Do you see the whole page at once? It is possible with practice for you to see an entire page. It requires mastery of the skill. Do you see the width of the line? Seeing the entire width of a line is no problem. Does it work in another language? Yes, as long as you are proficient in that language. How fast will I be able to read? You will have a reading range. Much depends upon the vocabulary used in the material you are reading. Obviously, the more familiar you are with the vocabulary, the faster you will read. How does this affect reading poetry, the Bible, Shakespeare, etc.? Most people read poetry for the rhyme, the meter, the pentameter, the sing/song of it, which means you would be reading it a word at a time. We recommend that you read this type of material out loud, using the Broad Underlining hand motion. Do I have to read everything fast? No. 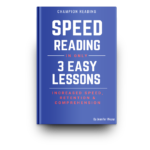 As a Champion Reader, you have the choice of speeding up, slowing down, or going at a rapid pace. Before becoming a Champion Reader, one is limited to a slower reading pace that is often relatively slow. This course will enable you to become flexible. You decide at what rate you want or need to read. You are no longer limited to the minimum. How does my vocabulary affect ability? What you cannot understand you cannot read at any rate, slow or fast. What you can understand in prose, you can read faster than you do now. What you can think fast, you can read fast – with training. 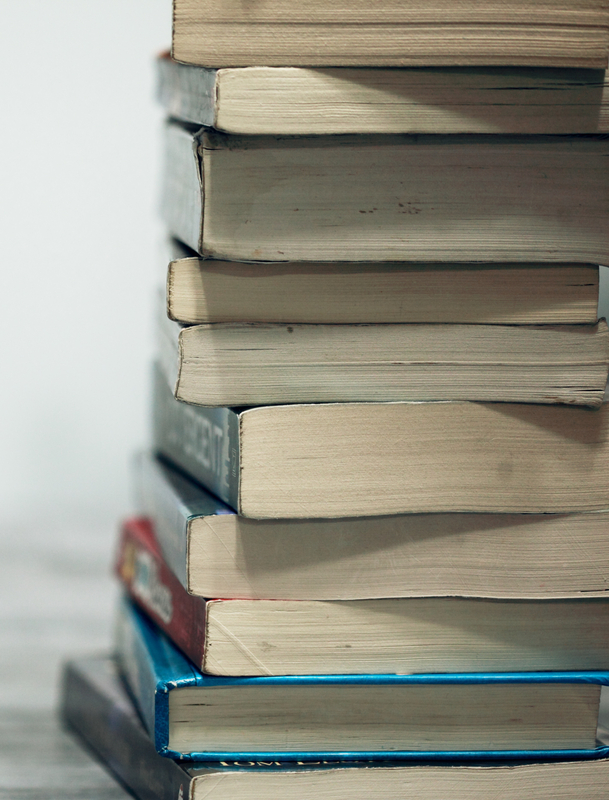 Increasing and broadening your reading is the best method for building your vocabulary. When you read horizontally in your present manner, and you come across a word you do not understand, it’s like a block, and you cannot proceed until you discover its meaning. When you are a Champion Reader, you will see groups of words, rather than the word out of context, and very often by the words around it, you can discern the meaning. Of course, if you still don’t understand the meaning, by all means, stop and look it up in the dictionary. What does IQ have to do with learning the skill? Nothing. Anything you can read slowly you can be taught to read quickly. IQ has nothing to do with developing the skill. This is merely a physical skill, which requires practice. It has nothing to do with gender, race, age, IQ, socioeconomic groupings or even levels of education. It depends on the obstacle. Most dyslexia-challenged students learn and thrive with Champion Reading. Tunnel vision is one problem where we might not be able to help. With Champion Reading you are taught how to improve and enhance the skill you already have, you learn to read groups of words at one time. You see the words vertically, horizontally and peripherally at the same time, just as you see things all day long. Wearing glasses is not a problem. Do you retain the skill? As long as you use the skill, it will be there for you. It’s when you take your hand off the page for an extended period that you might notice a regression. This skill is like learning to ride a bike or to tie your shoes. It’s always there. You never completely lose the ability. It would never take you 10 hours of class time, plus the practice to redevelop the skill. This is just like any other skill; you have to use it. If you stop reading, naturally the skill will decline. If reading isn't a regular part of your work or schooling, at least read newspapers or magazines; any reading will keep the skill fresh. How do you establish the Reading Rate? You time yourself and take a test at every lesson. A stopwatch determines the speed, and a test on the material establishes the comprehension level. If you multiply Speed by Comprehension, you arrive at your Champion Reading Rate. (Words per minute (wpm) x comprehension % = Reading Rate). Yes, it is important that you do. Every lesson builds on the previous lesson. Each lesson you learn something new. Will I be able to do my homework during the home practice? Not at first. The first few lessons will be teaching you new techniques, and you will be doing a practice drill where you will be trained to see words and go at a rate faster than you can presently read. We will be teaching you a preliminary technique to use when you read, and this will be in addition to the home practice. Does my present reading speed determine what my new speed will be? Generally, no. Your attitude and application are more important factors in determining your reading speed. Learning to be a Champion Reader is more dependent upon attitude and application of the method rather than upon IQ or initial reading speed. Will this new skill change my old habits? Definitely, if you want to change your old reading habits. How do I measure comprehension? Comprehension is understanding what you are reading while you are reading it; recall is remembering what you have read. Mental, verbal and written tell-backs are measuring methods. No single test or single reading measures thoroughly either comprehension or recall. You will use prepared tests and structured Mind Maps. What happens when I come across an unfamiliar word? When I read fast will I retain well? Generally, yes more than a slow reader. The rate of retention for a fast reader is rather high. Champion Reading's method including a Mind Map has been proven to help people learn well. Champion Readers usually test better too.